Spread over 6.9 acres of land on the Sarjapur Road in Bangalore, SOBHA CLASSIC offers residences over basement+ground+13 storied buildings comprising of 3 Blocks. 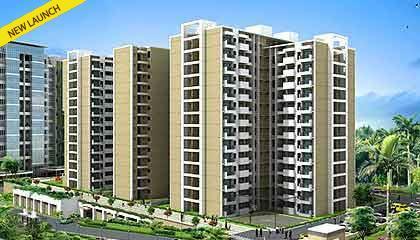 It offers a total of 243 units of 3 BHK configurations of which 81 units would have a servant room. Apartment's built up area will range from 1752 sq ft and 2070 sq ft. The composition of SOBHA CLASSIC is RCC framed structure with concrete block masonry walls. It has covered parking at the basement for the occupants and parking on ground floor for visitors. SOBHA CLASSIC, will have a range of amenities such as a fully equipped clubhouse having 2 separate gyms for weight training & cardio, swimming pool, steam room, Billiards, table tennis, carom, jogging track,half basket ball court, rappelling wall, meditation room and 2 community halls (indoor & outdoor). And keeping in mind the environmental awareness that has swept the world in the last few years, Sobha has taken the lead with CLASSIC in installing rain water harvesting systems, S T P with organic waste converter and other leading innovations in green design. SOBHA CLASSIC stands 6 km from Koramangala and 6.5 kms from the Electronic City. Oxford Institute, Delhi Public School are amongst the prime Educational institutes in the near by areas. The project would also find some big hospitals such as St. John's hospital and Narayana Hridalaya around its vicinity. The famous shopping centres close by such as Total Mall, Spencer's & Forum Mall are also nearby.